You are here: Home / Home School Advocacy and News / Did you hear about the recent citation against Free Speech? 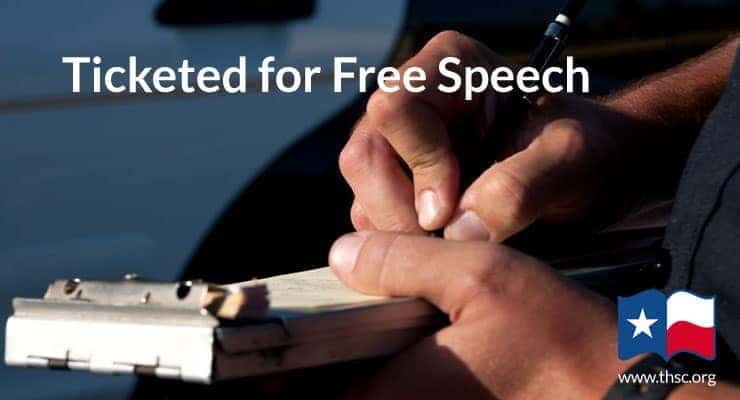 Did you hear about the recent citation against Free Speech? We saw free speech attacked with our own eyes. On October 30, Texas Home School Coalition joined activists from all over the state in Corsicana to protest outside of Rep. Byron Cook’s fundraiser. Standing in the rain, we held our signs and chanted to tell the truth about Byron Cook’s anti-conservative record. Because we were standing in the grass (not on the street) and were quite clearly involved in a peaceful, First Amendment protected protest and not a parade, this assertion was absurd. Nevertheless, after attempting to end the protest altogether, the police issued citations to Empower Texans President Michael Quinn Sullivan and Texas Right to Life President Jim Graham. These obvious violations of the First Amendment should not go unnoticed. Every one of us ought not only be outraged, but also be driven to action to correct this unconstitutional authority that the City of Corsicana has presumed to lord over Texas citizens. If the City of Corsicana can take away the First Amendment rights of peaceable protesters once, they can do it again–so can other cities and counties. What would stop them from shutting down pro-life activists demonstrating outside of an abortion clinic as well? This is not an issue that good citizens allow without a fight. It will not always end with a simple citation. That is why we must stop every violation of our constitutional rights the first moment they arise. Sign the petition asking the City of Corsicana to correct this egregious wrong. Sign up to receive updates from THSC so that you are always the first to know of any new event like the one in Corsicana. Donate to help THSC continue Keeping Texas Families Free. 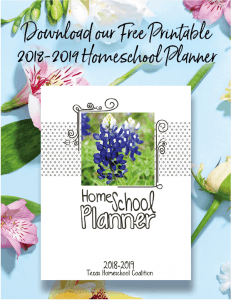 Since 1986, THSC has been serving and informing parents and the home school community in Texas. THSC members and supporters are informed families who believe in fighting to keep our rights for freedom. Please join us in Keeping Texas Families Free.